Students explore the causes of inequality in urban communities and learn about strategies for addressing urban challenges. Our students learn leadership, and entrepreneurship skills that support careers in a wide range of community-based nonprofits, government agencies, schools, and other public service areas. Our department offers the only undergraduate focus on Community-Based Organizations in Wisconsin, as well as unique offerings in Child and Family Services (in collaboration with the Department of Social Work), Child Care (programs which satisfy Registry requirements), Community Leadership, Alternative Education, and more. Many students also develop their own focus areas out of our rich course offerings. The CEED major values the experience you bring to the program. Students with a range of work and community experience may earn up to 42 lower-division credits by taking exams. Students pay for 3 credits, and any additional credits earned through exam are free. 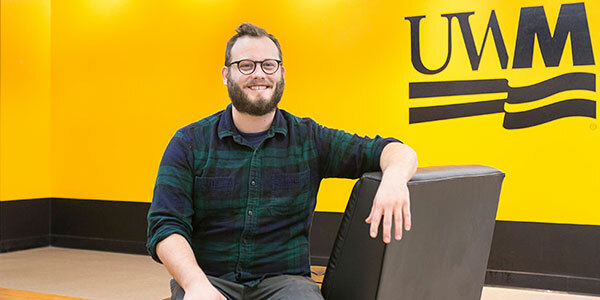 CEED is the only major at UWM that offers PPEE credits. Most students in CEED build their own program by choosing classes that fit their interests. CEED also offers a series of transcript-designated certificate programs and submajors designed for students interested in specific careers. The minor in Community Engagement and Education is open to all undergraduate students. With this minor students can learn about local urban communities and how to improve them. This practical knowledge can provide a foundation for building a career in human services.